A new study by Eunomix Business & Economics has shown that South Africa has suffered one of the worst falls in the past 12 years for a non-war country. The report said that the country's performance on the type of social, economic and management measures deteriorated more than any other nation that was not involved in international or civil conflict. The index of security, governance, prosperity and prosperity indicators showed that South Africa dropped to 88th place from 178 countries last year from 31 in 2006. The Johannesburg advisory firm said the decline would likely continue, as South Africa faces the effects of nine years of worsening corruption and political paralysis with former President Jacob Zuma. The fragility of the economy can also limit the mandate of his successor, Cyril Ramaphosa, who faces his first state elections on May 8, Eunomix said. "The greatest probability is that he will become a one-year president," Claud Baissac, head of Eunomix, told Bloomberg. "It starts with a very weak economy, the weakest of all the presidents of Mandela. It also begins with a rather weak hand from a political point of view. " Only in conflict countries such as Mali, Ukraine and Venezuela has been worse than in South Africa over the last decade, Eunomix said. According to the think tank, the main reason for the massive deterioration of the country is the unsustainable structure of the economy in South Africa, where economic power is largely held by an elite with little political influence. "Economic policy serves narrow interests and thus creates insufficient and unfairly allocated growth. Populism, and not the development approach, is a light temptation, with the economy tug-of-war amongst the indescribable groups. " Eunomix also said that, despite having spent the first 14 months in power, Ramaphosa promised to curb corruption, the end of political uncertainty, and the drive to reform lost state enterprises, and his political weakness will hamper progress. 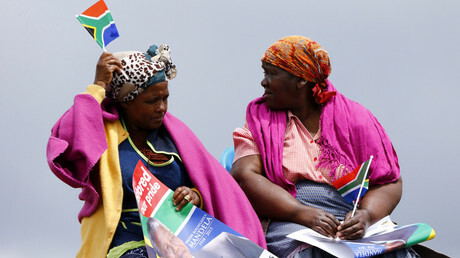 "The performance of the country in South Africa peaked in 2007; this year, its economy and governance were the best. Since then, the state has experienced a steady decline in all key performance indicators. " "The development project failed. South Africa is now a fragile country, which is expected to continue to weaken, He said Eunomix.